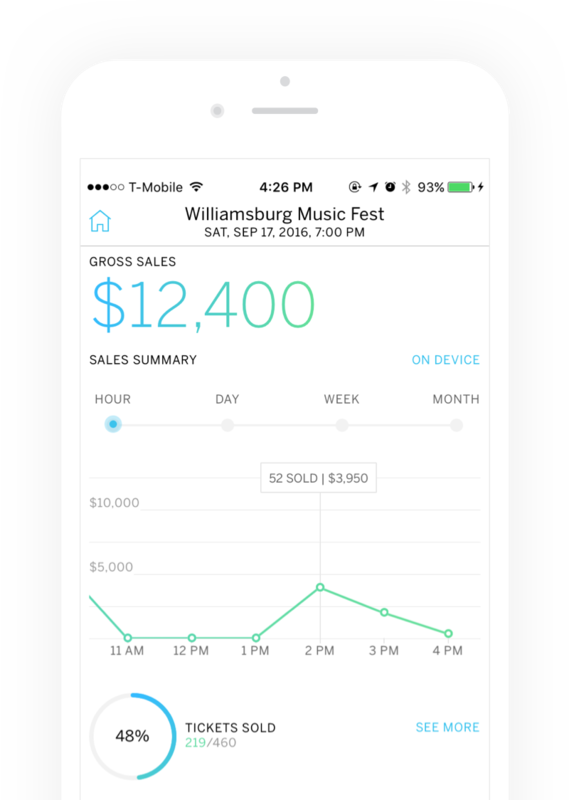 Take control of your ticket sales with access to real-time data. Ramp up your marketing—or sit back and relax. Rely on easy-to-use ticket scanning and check-in to get the job done. Keep your finger on the pulse of your event and make faster, more informed decisions. Accept fast, secure payment for tickets and merchandise on-site. Easily swipe credit cards and process secure, encrypted payments. Connect a printer to your device to print tickets or receipts. 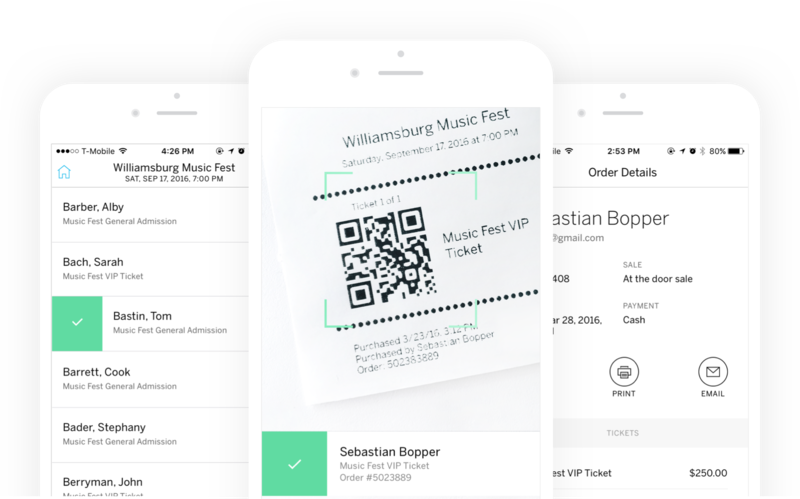 Get your ticket stock compatible with BOCA for Eventbrite printers. 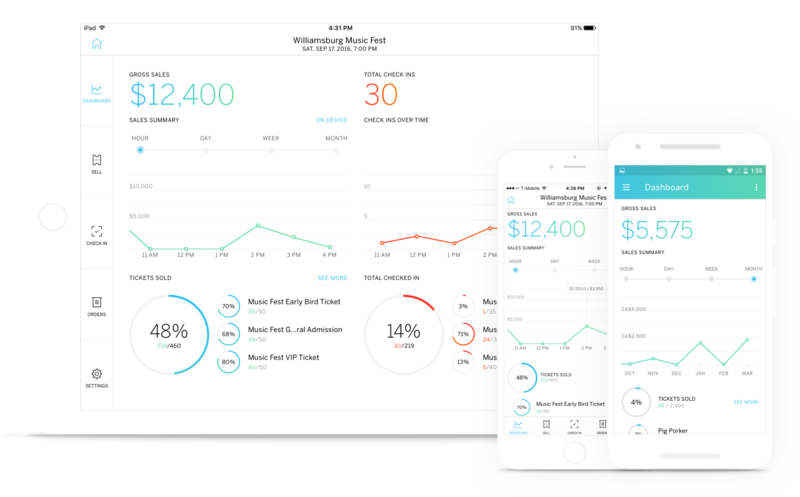 Being able to receive real-time reporting on data regarding who is purchasing tickets and from where allows us to make marketing adjustments on the fly. Eventbrite has helped us stay ahead of the curve by the sheer amount of data that is available to us. I get real-time stats on my computer and phone the second a customer checks in which enables me to work from any location. We were able to sell more tickets with Eventbrite. We used to stop selling tickets on-site because we weren’t sure where attendance was relative to venue capacity. Now, we can pull up the Eventbrite app, see how many people we’ve checked in, and keep selling tickets longer. How does Eventbrite Organizer work? 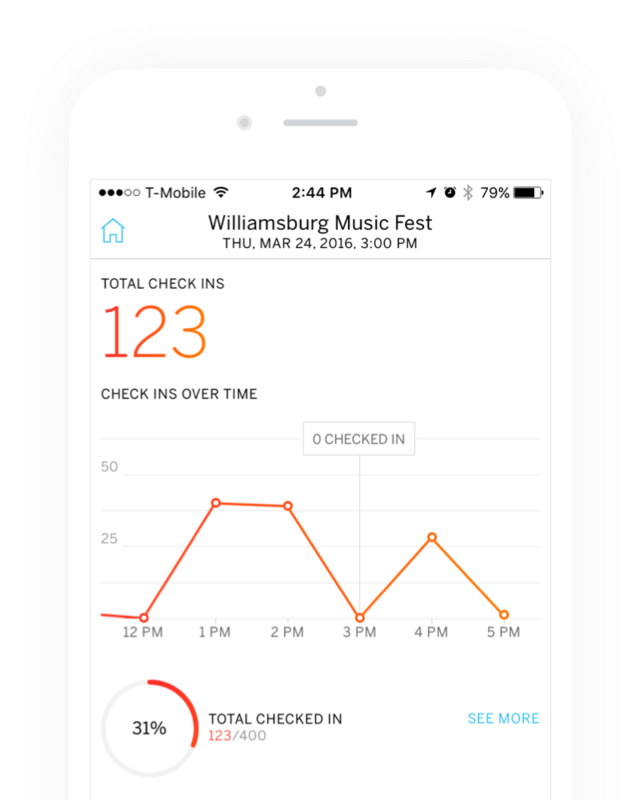 Once you download Eventbrite Organizer from the App Store, log in with your Eventbrite account to access tools to help you manage your on-site event needs. All your data is synced with Eventbrite’s servers so you can use multiple devices at once. Can I process credit cards with Eventbrite Organizer? Yes you can! If you’re selling tickets and merchandise in US dollars using Eventbrite’s Payment Processing, you can accept all major credit card payments with the app. Get the Card Reader to make swiping cards faster and easier. How much does Eventbrite Organizer cost? Eventbrite Organizers is a free app. When processing credit card payments on the app, we charge a 3% payment processing fee on the transaction, plus a reduced Eventbrite Service fee of $1 per ticket. Find your next experience on Eventbrite.